Reverse logistics, which is also sometimes referred to as one of its sub-categories known as return management, involve all of the actions necessary to facilitate the flow of materials back from the point of consumption to the point of origin. This flow is a necessary part of order fulfillment, since returns due to damage, inaccuracies, and buyer’s remorse require the disposal or reintegration of returned products. 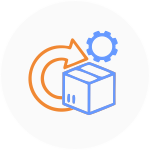 Reverse logistics may involve varying levels of planning, implementation, and control of goods as they are shipped back to the fulfillment center and navigate the supply chain to the appropriate application. In this guide to reverse logistics, we’ll discuss the steps and terminology to be aware of in this process. 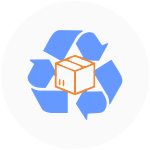 Simply put, reverse logistics is the process of moving materials back from their consumer destination to their point of manufacture or the distribution center in order to recapture their value for re-distribution, or dispose of them properly. Reverse logistics is only necessary when a product or material is being sent ‘backward’ in the supply chain. Some of the activities included in reverse logistics include remanufacturing, refurbishing, and redesigning, but these activities go beyond the basic process of recycling packaging or reusing shipping containers. Additional reverse logistics programs for dealing with hazardous material, recycled goods, obsolete equipment, and recovering assets may come into play. Returns processing in reverse logistics is often due to damage to the merchandise, unsold seasonal inventory, restocking/inventory management mistakes, and returns for salvaging, recalling, or removing excess inventory. Since reverse logistics involved many more steps and processes as materials move back through the supply chain, it’s understandable that it takes up a notable amount of all logistics costs in the U.S. Logistics in general has been estimated to take up about 10.7 percent of our nation’s economy, but the portion of that taken up by reverse logistics is almost impossible to identify. This is because most fulfillment and distribution companies don’t know how large their reverse logistics costs are due to the many variables involved. Some have estimated reverse logistics to account for as much as 4 percent of total logistics costs. Should we apply this percentage to the U.S. Gross Domestic Product (GDP), we can estimate that reverse logistics costs make up around half a percent of our total GDP. Using the GDP from 2016 ($18.57 trillion), this means that reverse logistics last year cost approximately $902.85 billion in the U.S. alone. Returns Management: Reverse logistics requires some specific processes of supply chain management, and returns management ensures optimally efficient reverse logistics through activities such as gatekeeping and avoidance. Gatekeeping involves decision making to manage the number of products or materials that are allowed to enter the reverse flow of the supply chain. This activity is very important for cost management, since it eliminates the costs for returning materials that shouldn’t have been returned or were returned to the wrong place. If you can control (and reduce) return rates without negatively impacting customer service, you have a successful gatekeeping system. The point of entry is the ideal spot in the reverse flow to operate your gatekeeping and screening process. Avoidance is a process that works similarly to gatekeeping to screen products before they enter the reverse flow, but instead of eliminating returns, avoidance minimizes the returns that must happen. Some of the successful avoidance techniques include quality control, user friendliness, and strategic promotional programs. Remanufacturing & Refurbishing: A significant portion of returns are made because of damage or inaccuracies with the shipped product. This may have occurred in the warehouse prior to shipment and the damages went unnoticed until the product was delivered, or they may have happened in transit. 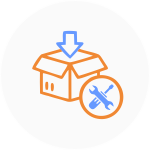 Repair: Fixing applicable damages in order to re-integrate the inventory into the warehouse or the distribution chain for re-sale. 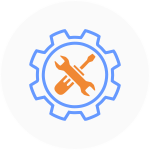 Remanufacturing: Using new, repaired or reused parts to rebuild the product in order to meet the original product specifications, and repairing or replacing obsolete or worn out components. Refurbishing: Improving old or outdated products to meet the manufacturer’s new specifications and standards. Cannibalization: Recovering reusable parts from used products in order to facilitate remanufacturing or refurbishing activities. Recycling: Reusing materials from another product or sub-assembly to create new products or refurbish others. “A” Channel — This is the primary, most important sales channel. Advanced Ship Notifications (ASN) — A system that tracks the product through the distribution and shipping process, alerting users to important tracking data such as delivery status and method of transportation. Asset Recovery — Maximizing returns and minimizing costs or liabilities by efficiently classifying and disbursing products or assets that fall under surplus, scrap, excess, obsolete and waste status. “B” Channel — The secondary sales channel for materials and products that have previously been processed through the reverse flow. Barter Companies — Establishments that support the disposal or recycling of unwanted goods in trade for commodities (i.e. airline miles or advertising space). Brokers — Firms that specialize in products that have reached the end of their sales life, who are often willing to purchase any product in any condition if they are given a low enough price (typically a last-resort option for disposal of goods). Buy-Out — The term for when a manufacturer buys out the inventory of another via a retailer, which allows the manufacturer purchasing the inventory to replace the products of their competitor. Cannibalization of Demand — When the sales of the secondary market or “B” channel reduce the sales in the primary or “A” channel. Cannibalization of Parts — Removing parts or components from one item and using them to refurbish or rebuild another item. Centralized Return Center (CRC) — The facility where returns are processed. Chargeback — A deduction from a vendor’s invoice for the amount of product returns, which may happen without the vendor’s authorization. Close-Out Liquidators — Companies that specialize in buying out a retailer’s product within a particular area when the retailer has decided to remove themselves from that area of business. Controlled Tip — A landfill that is sanitary because waste is sealed into containers made from clay or dirt. Core — A reusable part or sub-assembly that is of high value because it can be remanufactured and/or used as a replacement part. Core Charge — The amount that a supplier charges on products that can be remanufactured in order to encourage the return of the defective item that is being replaced. Design for Disassembly (DFD) — A method of design intended to make the end-of-life disassembly of a product more easy. Design for Logistics (DFL) — Product design with logistics functionality in mind, considering the processes for handling, shipping and storing the product. Design for Manufacturing (DFM) — Considering the ease, cost-effectiveness, and quality of the manufacturing process when designing a product. Design for Reverse Logistics (DFRL) — Ensuring improved return flow functionality by designing requirements for effective reverse logistics into the packaging and product itself. Disposition— The method of disposal for a product. Disposition Cycle Time — The window of time between an item’s return to the point when it arrives at its final destination. Duales System Deutschland (DSD) — A German organization that collects and recycles consumer packaging. Electronic Data Interchange (EDI) — An electronic system of communication for business-to-business transactions. Extended Producer Responsibility (EPR) — When an item’s original manufacturer is required to carry responsibility for its proper disposal. Factory-Renewed — The classification for products that have been refurbished by the original manufacturer with a new-product warranty. Footprint — The size of a building in square feet, which determines the warehousing space a store will need. Gatekeeping — Screening of products before they enter the reverse flow of the supply chain in order to minimize necessary returns or eliminate unnecessary ones. Gray Market — Unauthorized channels or dealers of products that typically don’t carry a manufacturer’s warranty. Green Dot — A packaging symbol for products sold in Germany to indicate that the item can be recycled via the Duales System Deutschland. Green Logistics — Logistics that minimize and/or measure their activities for environmental impact. High Learning Products — Products that cannot be operated without prior education or instruction, such as electronics. Insurance Liquidators — Companies in the secondary market that specialize in buying products that were damaged in shipment and subsequently declared under losses for insurance purposes. Investment Recovery — See Asset Recovery. Irregular — Materials or products that are sub-standard for the qualifications of a first-quality item, sometimes for cosmetic reasons that don’t affect the baseline requirements for performance. Job-Out Liquidators — Companies in the secondary marketplace that buy end-of-season or excess inventory products from retailers. Liquidator — Secondary market businesses that purchase product at the end of its “A” channel sales life. Lift — See Buy-Out, above. Logistics — The process of moving raw materials, finished goods, or product inventory from the point of origin to consumption to meet consumer demand. Efficiency and cost-effectiveness is the goal with strategic logistics planning, implementation and control. Made-For-Outlet — Products that are specifically made for sale at discount and outlet stores, which are typically of a slightly lower quality than products in the “A” channel. Marketing Returns — Unsold product that a retailer is able to return to the supplier (generally overstock items), which may have been shipped to the retailer under an agreement that sales were guaranteed. Non-Defective Defectives — Products that are returned under a customer claim of defectiveness, when they are not actually defective but the customer was unable to operate the products properly. Non-Defective Returns — Non-defective items that a customer returns as defective. Outlet Sales — Products – typically off-season or irregular – that are sold at an ‘outlet’ store. Overstock — Additional inventory beyond demand, which is usually caused by a failure to sell as expected, excessive ordering, or order cancellations. Point of Sale (POS) — The point in the transaction where the customer gains ownership of the product being sold. Point of Sale Registration — The process of collecting the customer’s information when the product is sold, in order to retain it for warranty purposes. Partial Returns Credit — Providing a partial refund due to missing components. Prebate — A discounted purchase price provided on the promise that it won’t be sold to a re-manufacturer at the end of its life, or a customer discount given at the time of purchase in compensation for returning the product once it reaches the end of its life. Pre-selling — Contracting during or before the selling season with a job-out company who will purchase any excess product remaining at the end of the selling season. Primary Packaging — The main, first level of packaging for a product, such as a bottle containing wine or a tube of toothpaste. Producer Pays — A principle that puts the responsibility of proper disposal or recycling of an end-of-life product on the manufacturer. Reclaim Materials — See Recycling, below. Reclamation Centers — Facilities that are designated to process returns (this term is typically used in the grocery industry). Reconditioning — Cleaning and repairing a product to “like new” state. Recycling — Reducing a product to its basic elements in order to reuse them. Refurbishing — Reconditioning to a greater level of detail, with more in-depth repairs to bring a product to “like new” condition. Remanufacturing — The third level of updating a product to “like new” condition, with more extensive work that often involves disassembling the product to conduct more detailed repairs and reconditioning. Re-Returns — When a customer attempts to return a product they had purchased as a (discounted) returned item for full price. Resell — When a returned product can be sold again, sometimes as new. Restocking Fee — A charge billed to the customer in acceptance of their returned product. Return Abuse — When customers engage in fraudulent actions involving the return of their product, for example attempting to return a product at a different chain from the original purchase, trying to get a refund amount higher than the price they paid for the item, or returning the item for a refund after the warranty has expired. Returnable or Reusable Tote — Packaging used in transport of an item or items that may be reused multiple times to move goods within or between facilities. Return Authorization (RA) or Return Material Allowance (RMA) — The clearance to return an item to the original supplier. Returns — Products or goods that a customer decides to send back to the distributor for a refund because the items either fail to perform or do not meet the customer’s needs. Returns Allowance — The limited amount of product that a customer may return, which is typically based on a percentage of their total purchases. Returns Center — See Centralized Return Center. Return to Supplier or Return to Vendor — Sending customer returns or damaged materials back to the vendor or supplier from whom they were originally purchased. Reuse — The act of using a product again for a somewhat different purpose than the one it was designed to perform. Reverse Distribution — The logistical process of moving products or materials backward from the consumer or retail level to the manufacturer or supplier. Reverse Logistics — The process of moving goods or materials from the consumer back to the point of origin in order to recapture value or dispose of it properly. 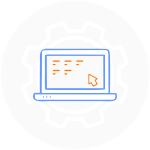 Reverse logistics may include planning, implementation, and control of the process flow in order to ensure efficiency and cost-effectiveness. Radio Frequency Identification (RFID) — A technology that supports product tracking by way of a low-frequency radio signal broadcast from a tag, which is attached to each item as it navigates the distribution cycle. Return Material Authorization (RMA) — The classification of permission for returning a product or material to its supplier. Rotatable Parts — A closed loop system for handling products that can be repaired, such as when a customer returns a broken product and a repaired product is sent to replace it, and the customer’s broken product is then repaired to be sent to another customer. Salvage — Products that can only be sold to a low-revenue customer or a broker. Secondary Market – A group of companies that sell products once they have completed their “A” channel selling season. Secondary Packaging — The level of packaging beyond Primary Packaging, such as a box or case containing wine bottles or a box containing a tube of toothpaste. Secure Disposal — Ensuring the destruction of a product by requiring that the disposal process be supervised by a security guard. Secure Returns — A process of reverse logistics that minimizes product leakage, eliminates shrinkage and stops products from unintentional disposal. Source Reduction — Minimizing resource consumption at the source, or the original production facility. Supply Chain Position — The role within the supply chain that an organization fulfills, such as the distributor, manufacturer, wholesaler, retailer, or a combination of different roles. Take-Back — A requirement that the manufacturer collects products at the end of their sellable life in order to retrieve recyclable materials and dispose of the products appropriately. Transport Packaging — The external, final layer of packaging that is used to protect products in transport between the manufacturer and distributor or retailer. Two-Dimensional Bar Coding — A technology in bar coding that stores much more information than a single row of lines and instead storing it in a two-dimensional grid of dots. White Goods — Appliances for the home, like refrigerators, washers or dryers. Zero Returns — When returns are always either disposed of by a retailer or other third party in the field, instead of coming back to the manufacturer.